Recent articles seen in established publications like USA Today, Wall Street Journal and Yahoo Finance, rank libraries as the second fastest-declining industry in the U.S.—second only to videotape and disc rental. In another article, USA Today makes a brazen proclamation that careers in libraries and archives will not exist in 2030. This cannot be further from the truth. With the inception of the Internet, people of all ages consume content faster and more often than ever and librarians are key in providing guidance in helping the public navigate these key systems. Libraries have evolved into thriving research capitals and significant learning centers. The 2016 graduates of American Library Association (ALA)–accredited LIS master’s programs received faster placements and earned more money than their 2015 predecessors, and 83 percent of those employed reported that they hold full-time positions (most of which are permanent), according to an article in Library Journal. Professional librarian remains a top 10 occupation. Pearson, an education publishing and assessment service, noted that they expect an increased call for “librarian, curators and archivists, among other occupations.” In fact, of the 772 occupation classifications tracked by the U.S government, “librarians, curators and archivists” fell at number nine of those positions most likely to have an uptick in demand by 2030. The U.S. government shows job growth for librarians. The Bureau of Labor Statistics (BLS) of the U.S. Department of Labor estimates a nine percent job growth for librarians through 2026. This means an extra 12,400 positions will be added the current job force within the next eight years. To top it off, to become a professional librarian in the U.S., the BLS says the typical entry-level education requirement is a master’s degree. The number of librarians could be even higher than what the U.S. government reports. RSL Research Group reports that in 2015, there were 139,213 full-time employees at public libraries, 44,623 at school libraries and 85,752 in academic libraries. But the BLS reports that in 2016, there were 138,200 librarian positions. Visitors still come through libraries’ doors. American Libraries Magazine says that rather than negatively impacting libraries, the digital revolution has had a contradictory effect. Public libraries have expanded their number of visitors due to this new, bourgeoning hunger for content. Public libraries now host more than 1.5 billion visits annually, approximately four million each day. And millions of students and researchers still turn to libraries for literacy assistance. 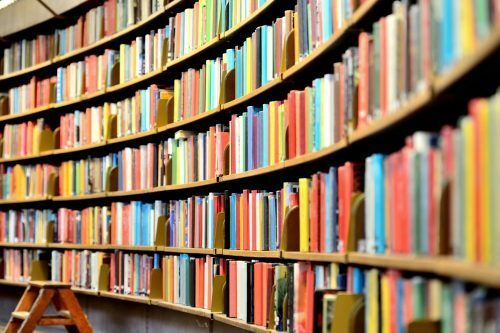 According to the Pew Research Center, most Americans view public libraries as integral components of their communities, and still use them to help decide what information they can trust. Americans also continue to “express largely positive views about the current state of their local public libraries.” In fact, 66 percent say closing their public library would have a major impact on their community. The Pew Research Center finds that librarian assistance is the most important service provided, after complimentary access to books and media. The expertise of librarians ranks even higher than free access to computers and the Internet. In addition, research reveals that technologically savvy youth use libraries. The Pew Research Center says young adults are “more likely to have visited a library in the past 12 months than those ages 65 and older.” In fact, 53 percent of all people ages 18 to 29 have been shown to use a library or bookmobile in person from 2015 to 2016. Librarians are helping their employers become publishing houses. Rather than maintain a more passive role in content distribution, librarians now proactively make their mark on content creation. The Council on Library and Information Resources (CLIR) says libraries are becoming more entangled in the publishing process, and librarians are doing the work. From top-tier university presses to other institutional presses, librarians now do more than manage a library—they provide tools and services to facilitate innovation in publishing from helping create peer-reviewed journals to ebooks. They also help maintain control of pricing and distribution of content. These facts prove that the position of “librarian” is not undergoing a slow death, as enterprising reporters and opinion writers believe. Rather, the role of librarians simply evolved with the digital transformation. Librarians are flourishing in their positions due the world’s new widespread, voracious need for instant content. Information means more than knowledge, it means solutions. When technology, people and information intersect, society and industry benefit. You can harness the power of information with our online Master of Information degree at Rutgers University.